She had me at community. And those of you who know me know that’s what this blog, and every writing group (in real life and online), each string of emails between myself and another writer, every long writer lunch, phone call, or nod, hearkens back to. No one understand the writer community—especially of women (roll your eyes if you must, but it’s true)—like we do. No one understands until she’s in it. And then you wonder where these people, who understand and make you feel sane, have been all your life. I feel so lucky to be part of a myriad of writer communities, and WFW is at the top. After all, I created this blog, this place, because I couldn’t find what I was looking for, the information and inspiration and authors, anywhere else. Today, the lovely Laura Nicole Diamond joins us to share her own story of experiencing community in writing and publishing. Please welcome Laura to WFW, and add your thoughts in the comments! A sense of community is one of the most beautiful gifts in life. As a child, community is built in – in my case, a sister to play with, loving parents, and grandparents, aunts, uncles and cousins nearby. When I finished college and law school and my friends scattered to different zip codes, the connective tissue that proximity had always provided was stretched as wide as the country. As an adult, a sense of community can be harder to find, and all the more crucial as we undertake more difficult challenges. One of the most important communities I’ve had was as a new mother, relying on other new moms to share their stories, to feel understood, to receive emotional support, advice – even the occasional babysitting. It’s not surprising that my first book was inspired by and dedicated to these women. But I never expected to find such strong community in writing and publishing a novel. Like becoming a mother for the first time, writing a novel involves stepping into the unknown. Doing that in community can help you feel like you’re not crazy for even trying. It can provide you with feedback of what rings true, what moves the reader, and what needs work. I was lucky to find an intimate writing group when I began working on my novel, and in that safe place I wrote the first draft of Shelter Us, once a week for an hour over the course of sixteen months. That group of supportive listeners and writers demanded that I show up every week and create something authentic. As I stepped from writing the novel to publishing it, I discovered that the community of writers – specifically, women writers – is generous, supportive, welcoming, and dynamic. In the course of publishing my novel, I have met women who do whatever they can to lift up other writers and to bring them into their circle. Part of this experience of community may be attributable to the fact that I chose to publish with a small independent publisher, She Writes Press, which is mission driven to publish high quality writing by women. It should come as no surprise that She Writes Press authors would develop vibrant networking channels to help each other on their publishing journeys, since the imprint grew out of SheWrites.com, an online community of women writers 26,000 strong. Through social media, She Writes Press authors have celebrated each other’s awards, planned joint readings, reviewed each other’s books, and asked each other questions about best practices, among other things. But even more striking has been the support of authors beyond that circle. When it was time for me to seek blurbs for Shelter Us, I contacted authors whose work I admired. Not everyone had time to read my book, but everyone was kind, supportive, and encouraging. Those who did write gracious blurbs for my book made me feel as though I had been accepted to a sisterhood of my dreams. One author said, “Let’s have coffee” and proceeded to spend an hour pouring over her contact lists for news, radio, magazines, and non-profit groups that might be receptive to my book. Others said they would “share” my book with their readers. There was no closing ranks, no protecting turf. There was generosity born of the confidence that there are enough readers to go around, the belief that we are all in this together, and the knowledge that life is all the more beautiful when lived in community. This sense of community and support is one of the loveliest unexpected gifts I have ever received, and I am honored to join the ranks of those responsible for sustaining it. 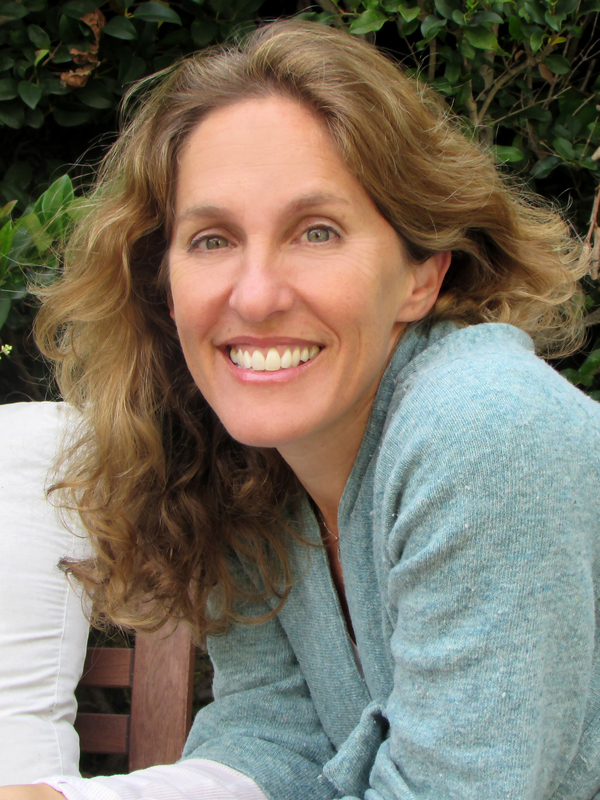 Laura Nicole Diamond is the author of the novel Shelter Us (June 2015 She Writes Press) and Editor of the anthology Deliver Me: True Confessions of Motherhood (2007). She is a civil rights lawyer, and writes about family, parenting, and social justice on her blog, http://www.ConfessionsofMotherhood.com. She and her family live in Los Angeles. Visit her at www.LauraNicoleDiamond.com. Well said.. Soon after I began writing, I joined a number of communities, something like trying on clothes. There seem to be an unending number and it has taken a while to find the right fit. Shewrites (dare I continue the analogy is a size XXL for all that it contains — I am still exploring its depths) and WFW (which is just snug enough to feel.like a favorite pair of shoes) to which I have contributed and hope to do so again are two of my favorites. I encourage my fellow writers to keep trying on online and in person venues until they find a match and then focus on those and put the rest back on the rack for others. 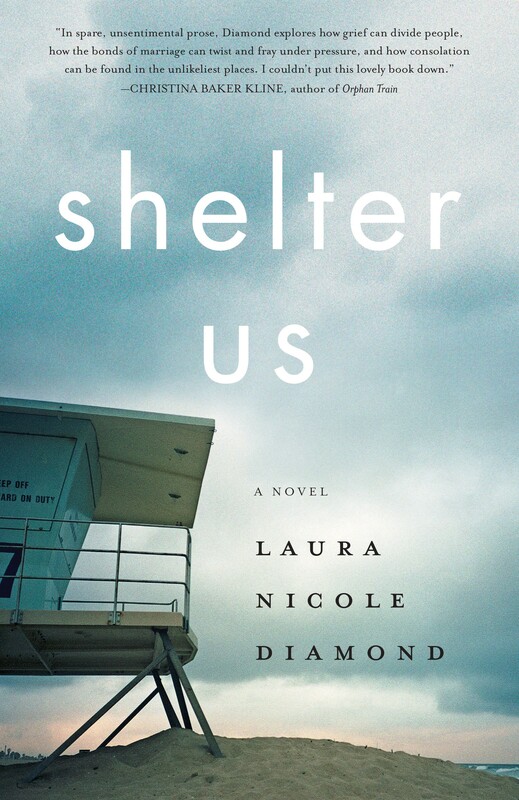 Wonderful post, Laura, and congrats on your book, Shelter Us, whose title echoes your thoughts here. Writing a novel is a bold step any time an author takes her deepest, most private thoughts and ideas and shares them with the public. What amazes me is WHO stands up and cheers you on, and who does not. For some close friends and family, your audacity to publish leaves them speechless–or something. Writers get writers and the communities you speak of do so much for us on our journeys–they encourage, provide that right critique, and when the book is born they applaud and help you promote the baby that means so much to you. We all need the shelter of our families for life, but writers need the shelter of other writers for understanding the steps we take to earn the title. Whenever I would attend summer writing workshops at the Un of Iowa, there was always the talk from other writers–non-writers saying when they heard that was what you were working on — “Oh, I always wanted to write a book,” like all you needed was a weekend to get that done. Years, people, often years. Take care and wishing you the best with Shelter Us. You have put into writing what it took me 5 years to learn. Writers are writers but not all writers tell the story the same way. I walked along for several years thinking no one liked or understood what I wrote. Then I found SheWrites, Women’s Fiction Writers and Women’s Fiction Writers Association. I found a home and writers that like what I write and the way I write it. I hope the writers wondering around in the thick haze of writing advice all find a home as wonderful as I did. Laura, this is such a lovely post, and you and Amy are so right. One of the best things about being a woman writer today is that we have so many readily accessible resources–and friends, online and in real life, too, who are happy to share their wisdom and hold out a hand along the way. I loved meeting you at BEA, Laura, and want to say “ditto” to what you’ve written so beautifully here. It feels like we She Writes Press authors are family and it was such a delightful surprise to find such a warm, welcoming, supportive group. Beautifully said, Laura. I’m newish to the Women’s Fiction community online. In real life I’m a bit of a hermit, don’t have a terribly active social life compared to some (and I’m currently not a member of an in-person writing group – hoping to change that soon), but I have so enjoyed meeting the wonderful, supportive, and just plain fabulous women in these online communities in the last year. It’s so true that only writers understand writers. Just as only mothers can understand other mothers. I don’t have children, so as much as I could speculate on what you’re going through as a mother, I will never truly feel that along with you. But as a writer, oh I GET you. 😉 It’s important to find those who GET us and stick with them. Whether it’s online, in real life, or (the very best option) both. A writer friend whom I met online through MYWANA (Kristen Lamb’s great community of writers) last year is coming to stay with me for a week in September. It’ll be our first face to face meeting and I can’t wait! Sometimes you just find that kindred spirit who knows you somehow, someone you can spend hours talking to even though you’ve never met in person. We wouldn’t have found one another if not for the great group of writers congregating to help one another out. It’s a beautiful thing. Great post again. I wish you the very best luck with ‘Shelter Us.’ I’m heading over to Amazon right now to check it out.